Seoul has responded to Pyongyang’s nuclear test by restarting propaganda broadcasts across the border. 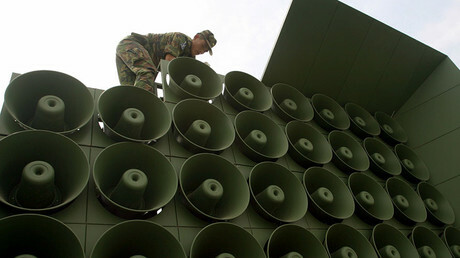 North Korea has answered by starting up loudspeakers of its own, Yonhap reports, as well as deploying artillery near the border. Apart from the usual broadcasting featuring speeches denouncing North Korea's nuclear program and criticizing the country's leader, South Korean military are cranking songs by their national pop artists, AP reported. Korean pop (known as K-Pop) is banned in North Korea, where citizens are only allowed to listen to government-controlled content. But it's now blaring out from South Korea's loudspeakers at the border, with the military choosing the catchiest tunes by single artists, female groups and boybands. While most of the broadcasted K-Pop songs have no deep meaning, some rub in how their "prosperous" neighbors live better than the North Koreans. “If North Korea attacks the loudspeakers, we will immediately retaliate," the South’s defense ministry official told Yonhap. South Korea deployed loudspeakers in August, after the North refused to admit blame for a landmine blast that injured two soldiers in demilitarized zone. 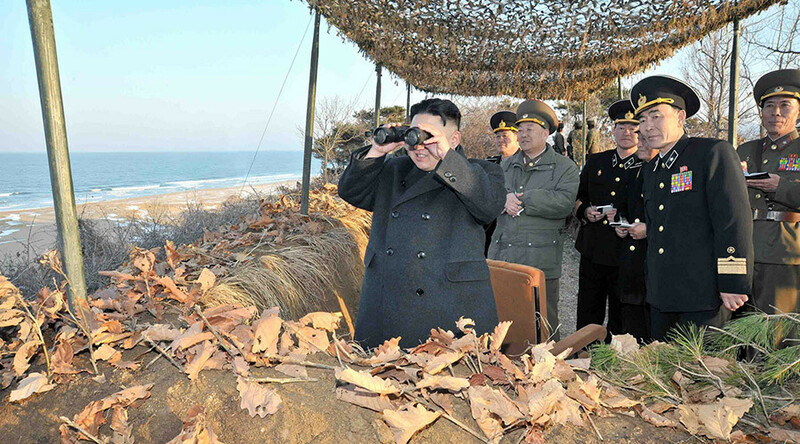 The armed standoff escalated into an artillery exchange, with Pyongyang targeting some of the broadcasting equipment. South Korea raised military readiness to its highest level at locations near the loudspeakers and turned the broadcast on Friday morning. To protect their propaganda asset, K-9 self-propelled artillery and short-range missiles have been placed near speakers units. The broadcast can be heard 10 kilometers into North Korea during the daytime and some 24 kilometers at night, according to a Yonhap News defense source. The move to resume loudspeaker broadcasts has met with cautious opposition in Britain, which urged Seoul to show restraint and not escalate the already tense situation. The latest tensions in the region follow North Korea’s allegedly successful underground test of a hydrogen bomb. Most analysts, however, doubt the device tested was an H-bomb, which would have likely resulted in a stronger seismic event. The UN Security Council condemned North Korea’s nuclear test in the strongest terms as a “clear threat to international peace and security,” and in light of “the gravity of this violation” pledged to pursue new international sanctions against Pyongyang.